Preheat the oven to 350 degrees Fahrenheit. Add the flour, sugar, and butter to a food processor. Make sure the butter is softened to room temperature before making the crust. Cover and pulse for 30 seconds or so until the mixture has a crumbled appearance. If you don’t have a food processor, combine the ingredients manually using a fork or a pastry blender. Spread the crust mixture evenly to the bottom of a 9 x 13 pan. The mixture should be about 1/8 of an inch thick. Don’t put any of the mixture up the sides – you only want to lay it down on the bottom. Place the pan in the center of the preheated oven and bake until the edges are golden brown. This should take about 15 minutes. Remove the pan from the oven and set it aside. Leave the oven on. While the crust is baking, you can prepare the filling. Make sure the cream cheese has been softened to room temperature before you make the filling. Add the softened cream cheese to a medium bowl with the confectioners’ sugar and beat on low speed using an electric mixer. Beat in the egg, granulated sugar, and the vanilla extract and continue mixing until it reaches a smooth consistency. Set the mixer aside. If using canned pineapple, make sure you drain off all the liquid before measuring the amount. 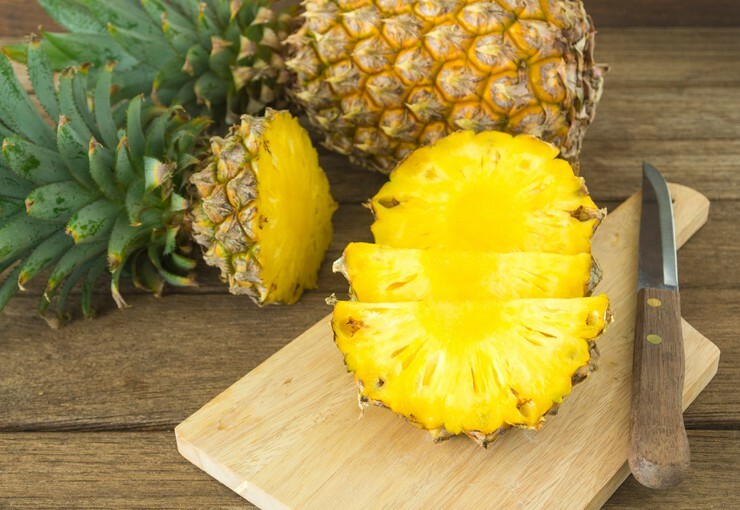 If using fresh pineapple, you can either chop it into small pieces using a sharp knife or pulse it for a few seconds in a food processor before you measure it. Add the pineapple to the cheesecake batter and stir well with a wooden spoon. Stir in the white chocolate chips and the nuts or coconut flakes after you stir in the pineapple. Spread the filling mixture over the prepared crust. Place the pan in the oven and bake until the filling has set all the way through. This should take about 15 minutes. Remove from the oven and let it stand for at least 1 hour before cutting. After the mixture has cooled, cut into bars and either eat them right away or transfer them to the refrigerator and store them for up to 3 days.